After much anticipation the new market, cafe, and cheese shop is finally open in the old Walgreens space at the historic S.S. Pierce Building in Coolidge Corner. Today is opening day for Allium Market and cafe. The shop (pronounced: “Al E yum”) markets itself as part market, part cheese shop, part cafe. And as with (the now closed) Foodie Asylum in Brookline Village, the owner is hoping folks who love food will venture over to buy those hard to find and traditionally produced pantry items, local produce, and special ingredients -anyone from the professional chef to the broke college student with no kitchen. The inspiration for Allium Market is Zingerman’s Delicatessen in Ann Arbor, MI where owner Talia Glass used to work. After planning to open earlier this year got postponed and the owner started up a GoFundMe to help get keep things going, the store announced it would open today. Inside customers can find produce, sauces, olive oils, vinegars, and pickled vegetables. The cafe will feature lunch and light dinner options including salads, tapas items, and coffee, and the cheese section will feature an array of domestic and imported cheeses. 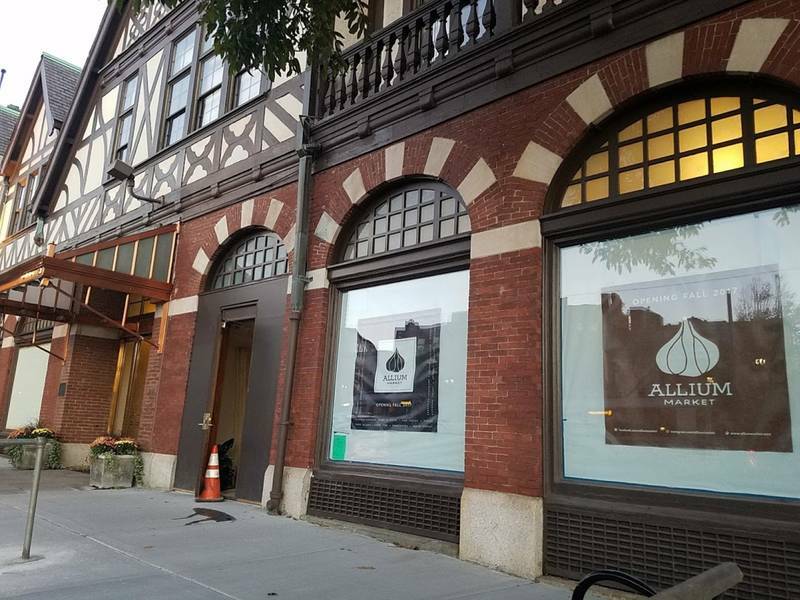 Allium joins the likes of specialty stores in Coolidge Corner such as Olive Connection, The Boston General Store, Green Line Grown and down in JFK crossing the Butcherie and Curds &Co in Brookline Village. Special today, customers can sample truffle salt, truffle oil, truffle honey, and truffle sauce. Allium will be offering 10 percent off all truffle goods all day.